The matches are all based off my memory, as I was not expecting to do a tournament report, but the main highlights have stuck with me from the weekend. The sideboard plans are pretty accurate as I had a solid understanding of what I wanted to do against most decks. A little about me, I have been playing Magic since M13 and I have slowly been expanding the formats I have been playing as I built my collection. Last year I decided to build a Legacy deck, as did my brother, which saw me go for Delver since its play style interested me. Coming into the Eternal Masters weekend my brother was able to play Vintage, but had work for when Legacy was on. I decided to join him playing Vintage more because I could, rather than any other reason. The week of Eternal Masters saw me hitting up stores finding the last few cards to turn my Legacy deck into an unpowered Vintage deck. My opponent played a Forbidden Orchid which I destroyed using a Wasteland. The next turn he went for, Oath of Driuds which I had a counter spell for. This felt like a pretty good start for me, until he showed me what a true Vintage deck could do, by casting Ancestral Recall into Time Walk and regrowing Time Walk to have too many resources. 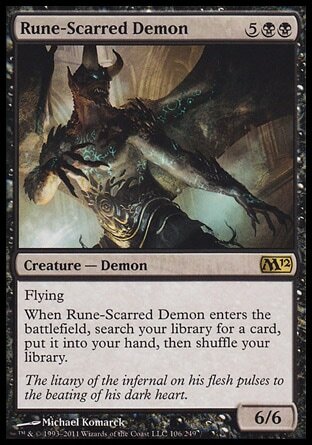 Not long after I was picking up my cards, seeing a couple of Rune-Scarred Demons hitting the battlefield. My opponent played a Drop of Honey early on. I played as aggressive as I could until my opponent was down to two life and me having five creatures on the battlefield. This then resulted in my opponent chaining four-five turns in a row, and hitting me down from eighteen life to zero. My first round of Vintage just showed me what was possible, and left me hoping that I could finish the day with an equal win/loss record to call the day somewhat of a success. This game went exactly as I hoped when I built the deck. I stuck a couple of threats early and countered the relevant spells from my opponent. Mental Misstep over performed hitting an Ancestral Recall and a Sol Ring. My opponent started off the game with some fast mana, playing a Defense Grid on Turn 1 which he then followed up with a Time Vault on Turn 2. I played a Harsh Mentor Turn 2 with small piece of mind knowing that my opponent would not be able to kill me with infinite turns too easily. Turn 3 my opponent played Ancestral Recall and a couple of other draw spells, and my Turn 3 was an attack for two and a second copy of Harsh Mentor. Turn 4 my opponent played Tinker and found a Blightsteel Colossus; Harsh Mentors doing some work! I then played the Dack Fayden I had in my hand which my opponent tried to Red Elemental Blast, until I pointed out the Defense Grid. I then stole the Blightsteel Colossus and my opponent scooped the next turn. First win in Vintage in style with the greatest thief of all! I can’t remember much of this match sadly. From the life totals it looks like my deck did what it was supposed to for two of the games, taking 3-5 points of life off my opponent per turn. The first one was a great game. This saw my opponent getting a Magus of the Moon on the board, which I hit with a Lightning Bolt, and then each turn they played a threat which I managed to answer. I was left with a Delver on board and my opponent had no cards left in hand. My opponent then drew and played a Goblin Rabblemaster. This resulted in me losing quickly, as my Delver did not flip and I had to chump block the Rabblemaster to buy an extra turn. My opponent played pretty aggressively in trying to stick a Blood Moon effect Game 2, but I had the counter magic to stop him. This then saw me play two threats and quickly close out the game. My opponent played a Turn 1 Blood Moon on the play. 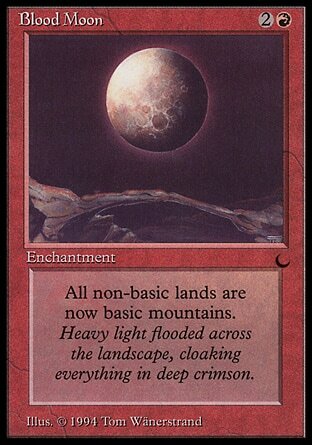 My opponent commented on how lucky it was that the Blood Moon resolved, but soon he understood why. I played my basic Island from hand, and after this I played a few threats and used my counter magic and burn spells to keep the board clear. I won the quick Game 3. I can’t remember much of this match, but it was on camera. Instead of me butchering what happened, I won’t comment and say watch the footage once it gets posted. Round 6 saw me sit across from James and shake his hand, locking in Top 8 and doing a lot better than my wildest dreams before the start of the day. I do not remember these games very well. All I remember is that this was a traditional Delver matchup, where whoever had the aggressive start took out the match. Matt built his deck using Power, going up to Bedlam Reveler. In both games I won I managed to bring Matt to a low enough life total that his extra card advantage did not come into play. This match was on camera. I will call out a few of the main things I remembered from this matchup, but it was possibly one of the most enjoyable games of the weekend, so thank you to James for that! From my memory, in the first game I came out fairly aggressive and managed to put too much pressure on James before he could stabilise. This game saw me attacking James’ mana base with Wastelands, Strip Mine and Dack Fayden stealing a Mox. I got asked a few questions on why I didn’t steal the Crucible of Worlds with Dack when I had the chance. My thinking was that he did not have a Wasteland or Stripmine in play and I had two Lightning Bolts in hand, with James being at nine life. My goal with the Dack was to find more threats or another Bolt to try close the game before he could find a threat. I nearly managed to finish the game in style with three Bolts in hand, but James countered the second one leaving him at two life. I then played a Harsh Mentor which James bounced the next turn when he played a Jace. I was then lucky enough to find a second Harsh Mentor off Dack, leaving me with two lethal threats on board which James could not find an answer to. This sent me into the Finals! This match was also on video so I will focus on the main highlights. Andrew played a Turn 1 Mishra’s Workshop into a Trinisphere. I had the Wasteland for the Mishra’s Workshop, but Andrew played two more in the next two turns, letting him power out too many threats and locking my deck out from playing anything. I destroyed Andrew’s first land and he did not have a follow up. This resulted in a quick Game 2 in my favour after I traded his Turn 1 play with my Harsh Mentor. The last game saw me attacking Andrew’s land base again, using Wastelands and Strip Mine. This resuted in him having a single Ancient Tomb in play, while I had a couple of threats on the battlefield. A few turns later saw Andrew conceding without hitting another land. It was pretty much a fairy tale ending for me. After losing my first round in a convincing manner, I won every match afterwards, taking out first place and winning the unpowered prize at the same time! The deck performed wonders for me and Harsh Mentor was a stand out, with it dealing 4-6 damage a game when played early, due to fetchland triggers or Strip Mines. A few comments about the deck. 90% of the main deck is as expected for this style of the deck. I built it counter-heavy in the hopes of sticking an early threat and saying “no” to my opponent for the rest of the match. The five burns spells were there to pick off an early creature or to finish off an opponent that got low on life. 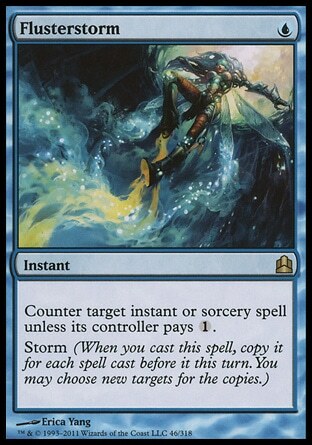 The two main deck Flusterstorms were a concession to beating combo decks and I felt that most of decks would have a target. Or I could always pitch it to Force of Will. My first round of the day saw me paired against Patrick. I had no idea of what I would be facing, but I had a hand full of counter magic and lands with a Ponder, so I decided to keep. Patrick led off with a fetch into Island and Preordain. With my limited knowledge and from playing against my brother’s Sneak & Show deck, I assumed that was what Patrick was playing. I found a Delver, which flipped the next turn, and I kept at least two counter spells up for the rest of the game. I countered Patrick’s attempt at playing Show and Tell, and rode the 3/2 flier to victory in game 1. My sideboard plan was to have more counters and more threats. I am a fan of Sulfuric Vortex, as it is a rather fast clock and stops the opponent from gaining life off of Griselbrand. Patrick played a Turn 2 Boseiju into a Defense Grid. A Show and Tell into Griselbrand saw us moving onto Game 3 rather quickly. Seeing the Defense Grid I changed my sideboard plan, replacing the True-Name Nemesis with Ancient Grudge. This was a rather uneventful game. I countered Patrick’s attempt of Show and Tell which was off a Lotus Petal and Ancient Tomb, and then Patrick proceeded to draw only Ancient Tombs. A few attacks later with my Delver, and I won the first round of the day. It was time for a rematch with Matt from the previous day. I was expecting a Delver mirror, but his first play quickly told me otherwise as a Turn 1 Goblin Guide quickly got answered with a Daze. I managed to find a Tarmogoyf and protected it until I took out the game using my counter magic to answer his creatures or to stop the double burn spell taking out my Tarmogoyf. This match saw me being unable to get a creature to stay on the battlefield longer than a single turn before Matt used a Searing Blaze or the like to kill it off and to damage me. I managed to keep the board clear of his creatures, but a Price of Progress and Fireblast quickly finished me off. I used my early counter magic to stop a Eidolon of the Great Revel before playing Umezawa’s Jitte into True-Name Nemesis. I then used the equipped True-Name to take Game 3 rather quickly, after swinging in for three a couple of turns and building my counters to ensure I could not get burned out. I sat down against Hamish at table one, feeling pretty comfortable with my start for the day. My hand was a classic RUG delver opener with a Delver of Secrets, a couple of counters and lands. Against an unknown opponent it was a snap keep. This game saw two Delvers doing what they do best, putting my opponent down to seven life before he managed to resolve a Toxic Deluge, putting him down to five. I was unable to draw an additional threat and my opponent quickly closed the game out with a Jace and Monastery Mentor on the board. My sideboard plan was to have more threats and an answer to a resolved Mentor with tokens. I felt that Stifle was not the best in this match up, and to focus on using my Wastelands to deny my opponent. This match saw me overwhelming my opponent with threats, playing Delver and a Nimble Mongoose early on before my opponent used an Engineered Explosives to wipe the board. I then used this opportunity to play a second Mongoose and a Bolt to take out the opposing Mentor. The Goose then ran away with the rest of the game. I made a slight change after seeing the Engineered Explosives. I played a Turn 1 Delver. The Delver took my opponent down to 16 (with a fetch in there) the slow way of one point a turn. I then played a second Delver as I had enough counterspells in my hand to cover them. They both transformed the next turn, knocking my opponent down to ten and putting him on a very fast clock. My countermagic stopped the attempted Engineered Explosives, resulting in my third win for the day. I sadly do not remember much of this match. All I remember is that it was against Sneak & Show which I took down 2-0. The above was my sideboard plan, with the Ancient Grudge coming in to help protect myself against any artifact-based hate. 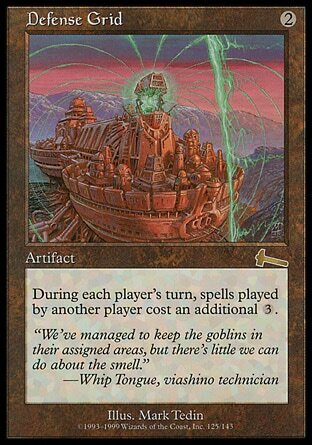 This saw me resolve an early Delver and ride that to victory. By the end of the game I had little to no cards left in hand but I managed to close it out before that mattered. My sideboard plan was to use True-Name Nemesis as a win con. The Jitte was a way I could fight against a Tombstalker if I got a hit in early. Both the next games went the same way, with us both trading resources early before Steven played a Tombstalker to fly over for the win. I hit my Jitte in Game 3, but the lonely Nimble Mongoose on the board sadly was unsure on how to use the piece of equipment, giving Steven the time to play a couple copies of True-Name Nemesis. This match was on camera which I will imagine will go up at some point once the commentary has been done for it. My opponent mulliganed to four and I kept my seven that had counters and card draw. I found a threat and the game was over soon, with my opponent not being able to do much due to the lack of resources. I picked up that my opponent was playing Sneak & Show which made sideboarding easier. As with my other games against Sneak & Show I kept the same side board plan. My opening seven was lands and a handful of counter magic. My aim was to stop my opponent from casting anything and eventually find a threat. Matthew went for a Turn 1 Show and Tell on the play, which I countered with my Force of Will. Turn 2 he went for a second Show and Tell which I had another counter for. After this I drew into a threat and Matthew did not have time to rebuild his hand before I won the match. I was sitting pretty comfortable in top of the X-1’s with my tiebreakers which meant I was happy to shake my opponent’s hand and lock myself in. After playing Steven during the Swiss I knew this match was heavily in Steven’s favour due to having Fatal Push and Tombstalker. My game plan was to keep Steven off of double Black with land destruction and to be as aggressive as possible. This match was covered by Sean Brown with his text coverage being posted already, so I will just comment on a few highlights. With the number of Wastelands in my hand I felt that I could easily keep Steven off his mana, but he had a steady stream of lands to play and, once the Tombstalker hit the battlefield, we were onto Game 2 pretty quickly. My sideboard plan was to use have a higher threat density. With me aiming to play a threat early, I decide the Stifles would be the best card to drop. The Submerge was a concession on my part to having no answer to a resolved Tombstalker. I knew Steven did not have many Forests in his deck, but I was hoping he would get one out if needed. I was behind for most of this game and it all came down to a fight over Submerge. The turn I played it saw me also fighting to resolve a Tarmogoyf. I considered waiting for Steven’s turn but the number of lands he had in play meant that he could counter my Submerge and still pay for all the copies of Flusterstorm, which was the only protection I had left in hand. With my decision made I fired off the Submerge which saw a Red Elemental Blast in response. I then cast Flusterstorm knowing that the only way Steven could stop my Submerge would be another counter. He just happened to have his own copy of Flusterstorm, which was the final nail in the coffin for me. Overall this weekend saw me playing in my first Vintage event and only my third legacy event to a first place finish and a Top 8 respectively. I had a great time over the weekend with some great plays on both sides of the table. The experience has me thinking of what I can do to change up my Legacy deck to aim for a first place next year for when Masters comes around again.